The introduction of the Indian Premier League opened many facets for the cricket fans. Although many great players across the world have played the game, fans have never been able to support them wholeheartedly as fans had only international cricket to enjoy. Unlike football, where city-based franchises had an equal fan following, cricket couldn't follow suit because of the long duration of the game. But with India's World T20 triumph in 2007, the format gained popularity. 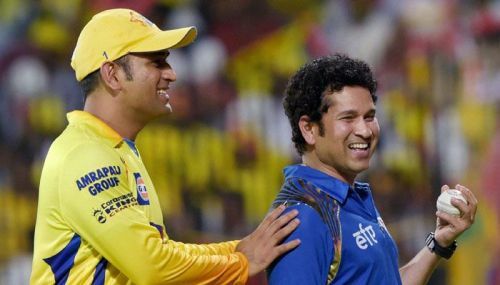 This gave birth to IPL as all top players started gathering annually in India for a two-month cricketing extravaganza. It created some moments to be savored as it helped create a great camaraderie among international stars who often play as rivals. More than anything, each season of IPL has thrown up many enthralling performances by some greats of the game as well as by some greenhorns. IPL has given many moments over the course of 11 years which wasn't possible in International cricket. On that note, let us look at the top five fan moments in IPL history. One of the most loved characters in the cricketing arena over the world is former Australian wicket-keeper batsman Adam Gilchrist. As he retired just before the start of the inaugural edition of IPL, he was part of the first six seasons. Despite staying out of international cricket, he played some scintillating innings in every season of the IPL. His best moment would undoubtedly be leading Deccan Chargers to title triumph in 2009 after finishing last in 2008. But the best moment for the fans came in his last ever professional game of cricket. Having witnessed his batting and wicket-keeping prowess, Gilly enthralled the fans with his bowling. Mumbai Indians, in a chase of 184 lost wickets in the middle to be at 133/8 at the end of 19th over. Gilchrist gave his wicket-keeping duties to Praveen Kumar and came to roll his arm over. He bowled a slowish off-spinner to Harbhajan Singh who holed out to Gurkeerat Singh at long on. The entire crowd went frenzy and celebrated Gilchrist's first wicket. 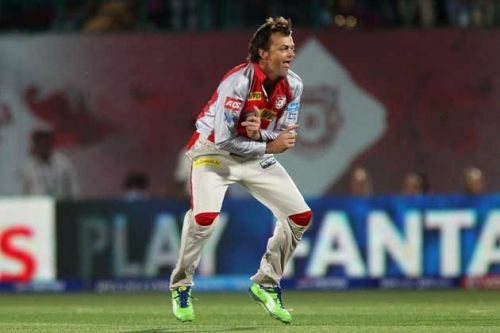 What was even more entertaining was the fact that Gilchrist put his dancing shoes on and brought his own version of Gangnam Style which was the most popular way of celebrating in the 2013 IPL.